This service is currently only available in India. Top Indian international schools already operate well-managed guidance counseling teams similar to those in the United States. Universities from around the world visit such campuses to recruit students. Counselors guide students through every step of the college admissions process, including preparing for entrance tests. Although this support is vital, it is no longer sufficient in today's highly competitive environment. With more and more students applying to America's top colleges, it is becoming increasingly harder to get in. The top 12 colleges accepted just 1 applicant in 10, some, even fewer. At the same time, it is getting more expensive to go to U.S. universities. A White House fact sheet from September 2015 said it best: "With college costs and student debt on the rise, the choices that (American) families make when searching for and selecting a college have never been more important." We believe that expanding college awareness when children are still early in high school is essential. Our structured approach at each campus is unique and effective. It consists of four parts: Youth camps; Parent Seminars; Support through social media/web; and Optional individual counseling, via Skype and cloud tools. Camps: Rao Advisors camps are designed to help teenagers learn everything about getting into US colleges - in a fun way through games, activities, mini-projects and quizzes centered on the college theme. Camp is a perfect place to learn "Do-It-Yourself" skills about one of the most important decisions a teenager makes. Because as they say at the library, “Not everything on the internet is true”. Our camp is intense and comprehensive - it lasts 4 days, 3½ hours each day - and covers five key topic areas: Introduction to U.S. College Education; Branding and how to match interests with colleges; Field of Study Selection; What Colleges Look For In Students; College Selection Strategies and Admissions. Click here to see all that we cover at our U.S. camps. Parent Seminars: The firm's parent seminars are also highly popular in U.S. cities such as Coppell, Frisco, Plano, Bedford and Southlake where city governments regularly hold the firm's events. 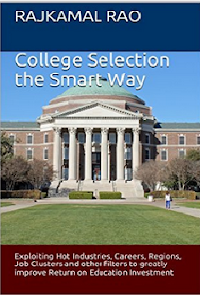 In a typical 2-hour seminar, parents can learn what the top 100 U.S. colleges are looking for and how students should better plan their high school years to have a shot at gaining admission. The seminar analyzes the many changes that are occurring in the nation's higher education scene including addressing topics such as: What are acceptance rates and yields? What are recent trends in college admissions? What makes a student profile? What factors are important in college admissions decisions? Why is high school course planning critical? How can we rethink extracurricular activities? How do we lower college costs and make college more affordable? Click here to see all that we cover at our popular U.S. parent seminars. Social Media/Web Support: We create a community of students through our Facebook pages and internet pages. Questions can be submitted to a moderated online discussion thread on our website. Select questions will be answered for all in the community to see. Our website has attracted over 50,000 hits worldwide. Premium Counseling: Additional, one-on-one counseling is available, for a fee. 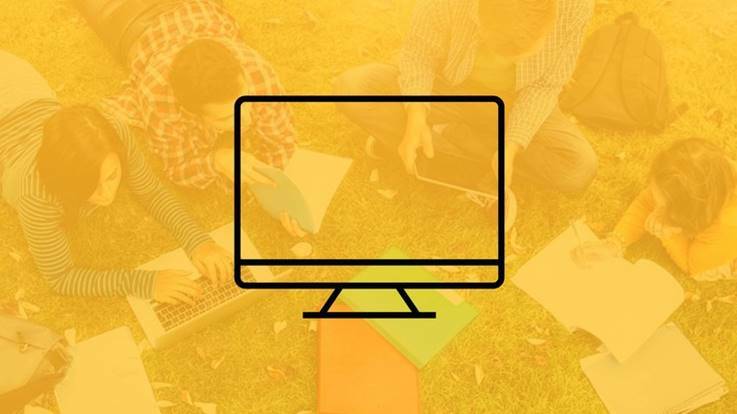 Because we are based in the US, we use video conferencing (Skype, Google Hangouts, Webex), cloud based tools (Google Apps for Business) and the web to engage with international students in a secure environment. 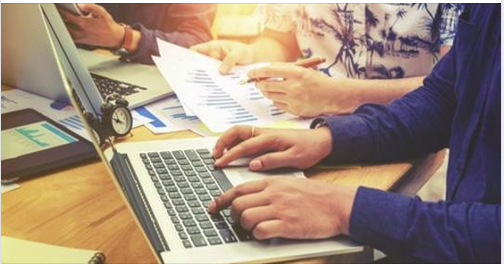 Top Indian institutions already operate well-managed training programs in their career and placement centers. The goal is to bridge the gap between what skills students have when they graduate against what competencies are needed by employers. Topic areas include oral and verbal communication skills, managing priorities, problem solving and task management. All students who graduate are, however, not interested in immediate employment. According to student exchange data from the Institute of International Education, 100,270 students from India were studying in the United States in 2012. India is the second leading place of origin for students going to the United States (after China) - a full 13% of the total foreign student population in the United States is Indian. Our research shows that many of these cash-paying Indian students are increasingly getting a bad deal. They end up making many wrong choices - throughout the admissions process - that will affect them throughout their career. In effect, the return they get on their hard-earned investment is poor. Institutions have a compelling interest to take active part in these students’ career plans but recognize that their professors are too busy to impart quality counseling to them. They know that these students need guidance in choosing a good US university that is a natural match for them; need counsel in choosing the correct field of study, one that is in demand in a dynamic economy such as the United States; and require assistance in identifying schools that offer financial assistance or schools that lower the students’ overall cost of higher education. But institutions watch helplessly as this set of students, desperate for advice - any advice - pursues counseling services offered by private, unregulated vendors outside the walls of the campus. The quality and integrity of some of these providers are not always known, placing such students at a disadvantage, and sometimes at risk. Some of these providers even resort to commission based recruiting, a practice illegal in the United States. 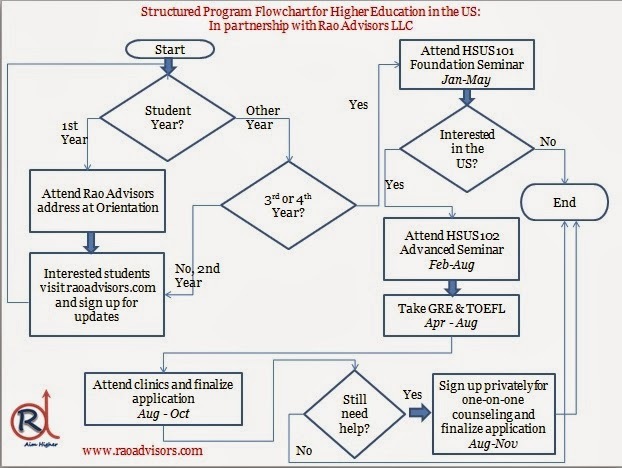 The Rao Advisors Advanced Premium Services (APS) program has been developed to address these gaps and is designed to help meet the higher education counseling needs of select institutions in India. 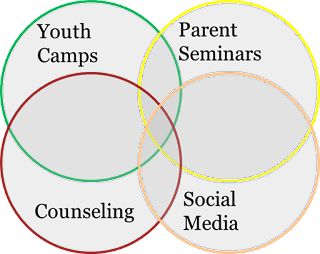 The APS program - shown in the yellow and pink circles below - aligns well with services represented by the other two circles in the quartet, i.e. our website and Town Halls; and our one-on-one counseling program called Premium Services (available in Bangalore and a few select cities in India; Dallas, and a few cities in the United States). All four services are designed to bring various degrees of awareness to students, parents, faculty, teachers and placement coordinators about how best to select a US school and field of study without the pressure of being subjected to biased advice. By partnering with Rao Advisors an institution can now add a program to provide higher education counseling to its in-house training services portfolio, a program that is designed to the institution's guidelines, subject to the institution's quality standards and under its governance. Partnership is through a legally binding Memorandum of Understanding (MOU). The MOU is in force from the date it is effective until Sep 1 of the following year - generally the date when US universities begin their Fall semesters. The term therefore could be longer than a year or shorter than a year. Organizing “Higher Education in the United States” seminars on campus from time to time. These seminars aim to disseminate generic information to interested students about higher education in the US. A Question and Answer session will be an important part of these seminars but focused questions of individual students will not be answered. We have developed detailed seminar topics. For a detailed list of both undergraduate and graduate seminar topics, please click here. Holding Higher Education in the United States clinics to provide 10-15 minute counseling sessions to select APS students. Much like in a doctor’s office, APS students will appear before Rao Advisors personnel at an appointed time, on campus, have their specific questions answered and leave, making way for the next students in line. Engaging Rao Advisors in some other professional capacity - such as, producing a student guide for higher education to the US or training faculty in the proper writing of student recommendation letters. Engaging Rao Advisors to teach a course about strategies to improve Return on Investment in US Higher Education. The institution benefits because it is offering, at very low cost, high-quality, unbiased and unvarnished higher educational counseling services within its campus to hundreds of students who may be currently seeking sub-standard counseling from outside vendors. Further, all relevant information provided by Rao Advisors - such as school and course selection strategies - is backed up by its world-class website that is available to students, parents and faculty for free. Thus, there are no surprises. Because the program is run under the governance of the institution, it has the ability to make changes in the delivery of services so that the overall quality of the APS program is maintained. Program audits conducted by the institution are typically included in MOU agreements. If individual students are interested in additional one-on-one counseling with Rao Advisors, referring such students to the APS Counseling Program results in special benefits to them not available under the retail Premium Services offering of the firm. For example, APS students can get counseling from US based counselors at no extra cost. Up to two (2) APS students are permitted to participate in the same counseling session at no extra cost. And APS students get discounts off of retail Premium Services pricing. Rao Advisors also provides quarterly status reports to the institution about all engagements with either the institution or its APS students including, a breakdown of fees charged and discounts earned. It is well known that US universities respect Indian institutions and eagerly welcome the thousands of students that they send to the United States. It is also true that most Indian institutions do not have formal exchange agreements with specific US universities. To know how your institution can benefit from partnering with a US university and the process involved, please go to US-India Institutional Collaboration.